The fifteen articles, essays, notes, and documents gathered in this collection are a permanent contribution to study of the American founding. 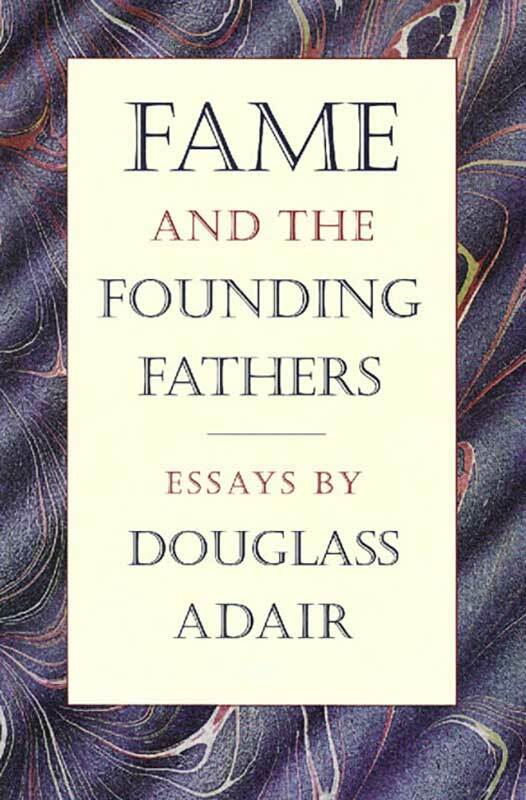 As teacher, critic, and editor of the William & Mary Quarterly, Adair demonstrated what Trevor Colbourn—one of his principal students—describes as an “extraordinary ability to enter empathetically into the experience and ideology of the Founding Fathers while at the same time writing about them critically and movingly.” The volume also includes an affectionate reminiscence of Adair by Caroline Robbins and a bibliographical essay by Robert E. Shalhope. Douglass Adair (1912­–1968) was Professor of History and editor of the William & Mary Quarterly. Trevor Colbourn is President Emeritus at the University of Central Florida. Preface, introduction, personal memoir, bibliographical essay, select bibliography, index.